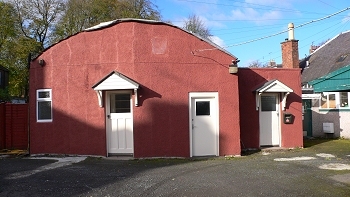 Workshop, offices and storage close to Town Centre. Parking. The accommodation on offer comprises:- Single storey office and canteen, disabled toilet facilities, workshop floor space, inner office, attic storage area and full height workshop area extending to 208.5 square metres. Please contact A B & A Matthews on (01387) 257300. Offers over £12,000 per annum for rental are invited.